We all know that the sun damages the skin. 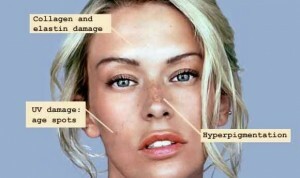 Even if your skin does not burn, the skin suffers sun damage. Wrinkles, brown spots, and leathery skin are all signs of sun-damaged skin. Unwanted facial and body hair is a common problem that can be a source of distress for both men and women. Are you considering one of our treatments? Would you like more information or for one of our specialists to reach out to you? Fill out the form below and tell us about yourself! Copyright © 2014 Veritas Medi Spa.Web Design by Higher Images, Inc.